I just finished listening to The Guernsey Literary and Potato Peel Pie Society by Mary Ann Shaffer and Annie Barrows . What a remarkable book to listen to, especially with the full cast of readers portraying the many characters in the story. This book, if you don’t know about it, is told in letters. Set just after World War II in London and the Channel Islands, it gave me a glimpse into post-war England that I had not before experienced in a book – and it also happens to be a book about the power of books. It made me think about other books written in letters. I loved those books too! There’s 84 Charing Cross Road by Helene Hanff. Also about books, this one is a series of letters between a woman who is looking for out-of-print books, and a London bookseller. It is set between 1949 and 1969, so a bit of that post-war London feel is there. There’s also a great movie version of this book starring Anne Bancroft and Anthony Hopkins. Alice Walker’s heartbreaking novel of two sisters is told through letters. If you haven’t read The Color Purple, you are missing out on a literary gem. This, too was made into a film, starring Whoopie Goldberg and Oprah Winfrey. Teen love is handled in letters and images in this brilliant book, Why We Broke Up by Daniel Handler and Maira Kalman. In addition to a letter describing why the teen romance ended, Min, the letter-writer, also includes a box of items that symbolize their failed relationship. 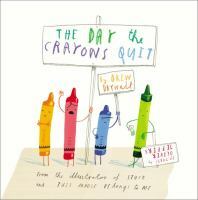 For the younger set, you can’t go wrong with Drew Daywalt & Oliver Jeffers’ fun book, The Day the Crayons Quit. In a series of letters, the crayons explain why they are leaving. They are tired of being typecast, it seems. And just released is the sequel, The Day the Crayons Came Home. What are your favourite epistolary books? During the celebration of Canadian Library Month, Seniors Week is an opportunity for public libraries to focus on programming, services, books and materials for seniors provided by the nine public library regions in Nova Scotia. Throughout the year, library staff continue to welcome and serve older adults coming to the library. The Annapolis Valley Regional Library’s eleven branches and Bookmobile have a wonderful list of programs and events planned. Some of the exciting events include Third Thursday Social Group in Windsor (October 15) with a display of artifacts from the West Hants Historical Society. Drop by the branch to test your knowledge. Or join Sue at the Berwick branch for a Kitchen Party. Perhaps now is the time to try Chair Yoga at the Isabel and Roy Joudrey Memorial Library in Hantsport. 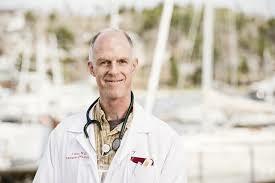 The programs offered in Bridgetown include a Recipe Swap, Seniors Travel and a Talk with Dr. John Ross about end-of-life options. The Kentville branch is offering a slide presentation on Miner’s Marsh. The Rosa M. Harvey Library in Middleton has a full week of events including a presentation on Mona Parsons, and Seed Saving and Herbal Medicine. For a complete list of all programs go to the Event page on our website: http://www.valleylibrary.ca/calendar. 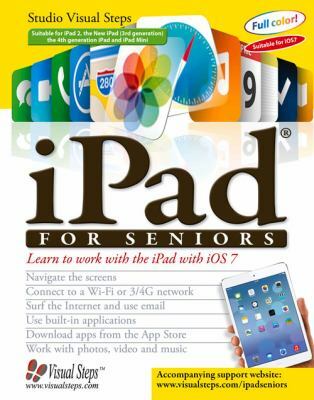 Browse our online catalogue for some interesting reading material, such as iPad for Seniors or Senior Fitness. Stop by and check out the creative displays of items chosen by staff at each branch. And this may also be a good time to celebrate our senior library workers! Congratulations go out to the community of Hantsport, Susan Oickle-Shano and all the Friends of the Hantsport Public Library. Dedication, perseverance, hard work, or in others words, plain old community spirit were the catch phrases of the day September 23, 2015. After being a tenant for more than 50 years in the Hantsport School, the Isabel and Roy Jodrey Memorial Library officially opened its doors. The weather couldn’t have been better as approximately 130 guests gathered in front of the former Hantsport Legion at 10 Main Street. A smudging ceremony, greetings and congratulations from invited dignitaries preceded the official unveilings and ribbon cutting by Roy Bishop and other family members of Isabel and Roy Jodrey. Guests were greeted by branch manager, Liz Gibson as they enjoyed refreshments, and live music as they toured the newly renovated facility. “We are so pleased to present this new facility to the community,” said Ann-Marie Mathieu, the new CEO of Annapolis Valley Regional Library. “Hantsport should be proud of this library that so many people worked to create. Stop by and see the newest addition to the community. If you would like to see more pictures go to this album on our Facebook page.